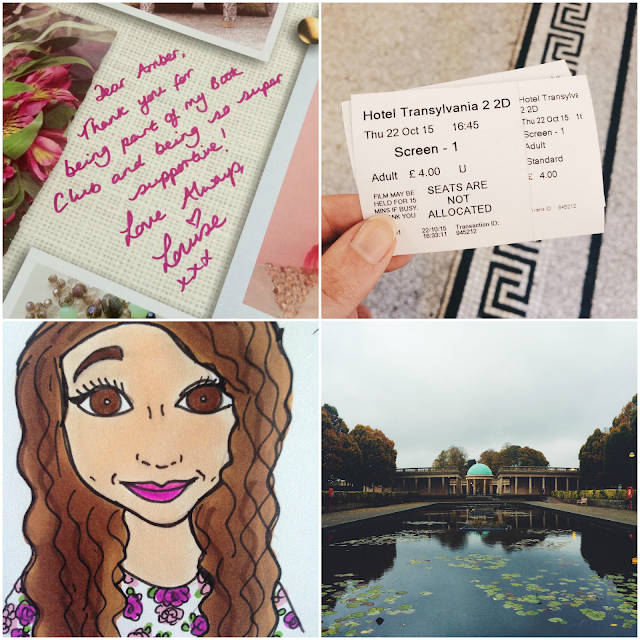 This is the second part of my previous blog post, Looking Back on the Year. Hope you enjoy! July: The first day of July was the hottest day of the year. 37 DEGREES. It was horrendous. I always moan about typical, rainy, British weather but honestly, I don't think I could live anywhere that was hot all year round. My friend came over again - her name is Averil, by the way; I don't know why I haven't been naming her - and we had a massive water fight with two big water guns, 100 water balloons and loads of water bottles which made up another 12 litres. But it was so hot we ended up not even having a water fight, we just sat and poured water on each other and lamely threw each other water balloons until they burst. It was that hot. We could barely talk. #UnlikelyBritishProblems. Then we went to prom which was another huge step for me because I went back to my old school to see my entire year group and it was crowded and I just... I wouldn't have been able to do that a month earlier. 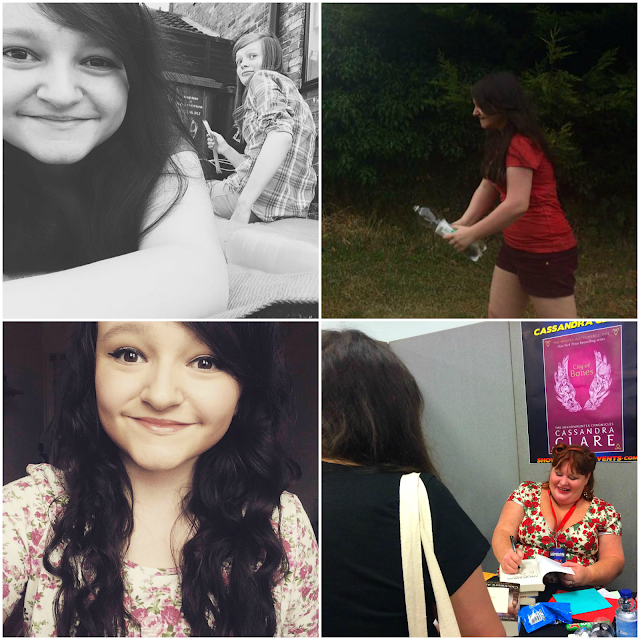 Saturday the 18th brought with it YALC aka the Young Adult Literature Convention in London! I had desperately wanted to go last year but I just wasn't ready and we were on holiday, anyway. But this year I thought I'd give it a try and it was SO MUCH FUN. You can read my recap here. It's one of my favourite posts on this blog and YALC itself was probably the best day of the year. August: Oh, wow. This was... an insane month, to say the least. 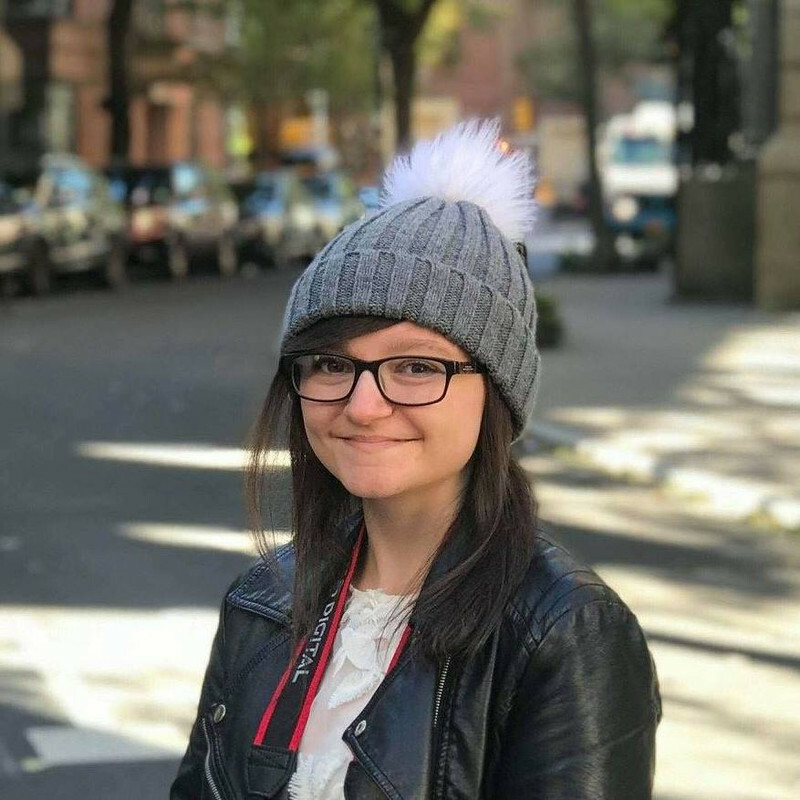 As you might have seen here, I started a crowdfunding campaign to raise the money needed for me to continue my education. Immediately, the story was picked up by The Independent, the MailOnline, Sky News (yeah, I gave my first ever live TV interview...) and I was invited on ITV's Lorraine show as well as BBC 5 Live Breakfast. And a week after the campaign began, we hit the target! We raised £4,500 in just a few days. I'm still not over it. I really wasn't prepared for all of that to happen and it was crazy. I also got my GCSE results which were pretty good, considering. And I went to GBK aka my favourite restaurant ever. Seriously, if you haven't been there, you need to go. This is very important. Do it for me. 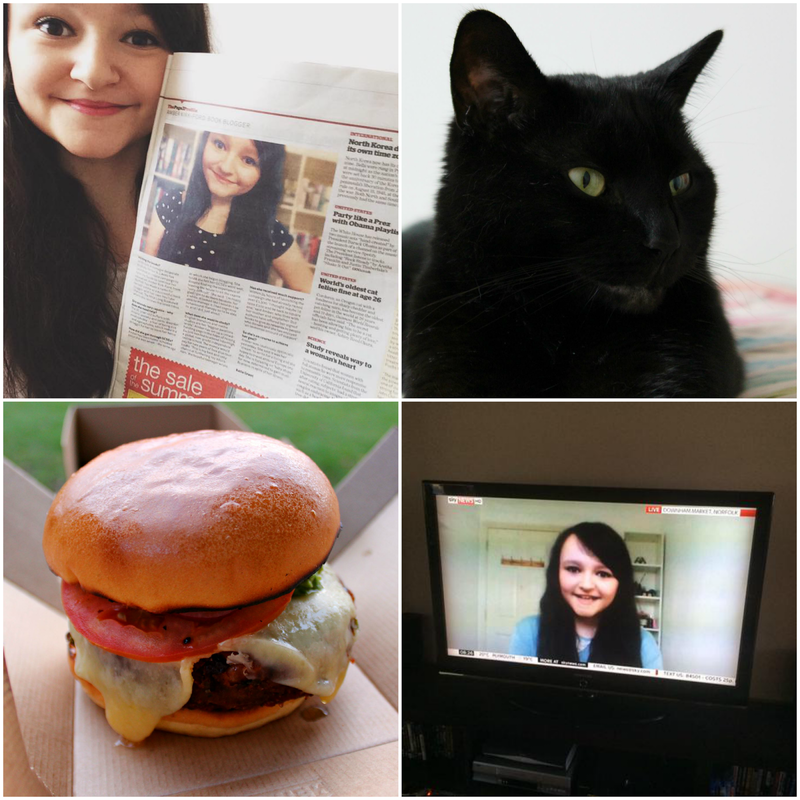 Bottom right photo courtesy of @theblogbookshop on Twitter. 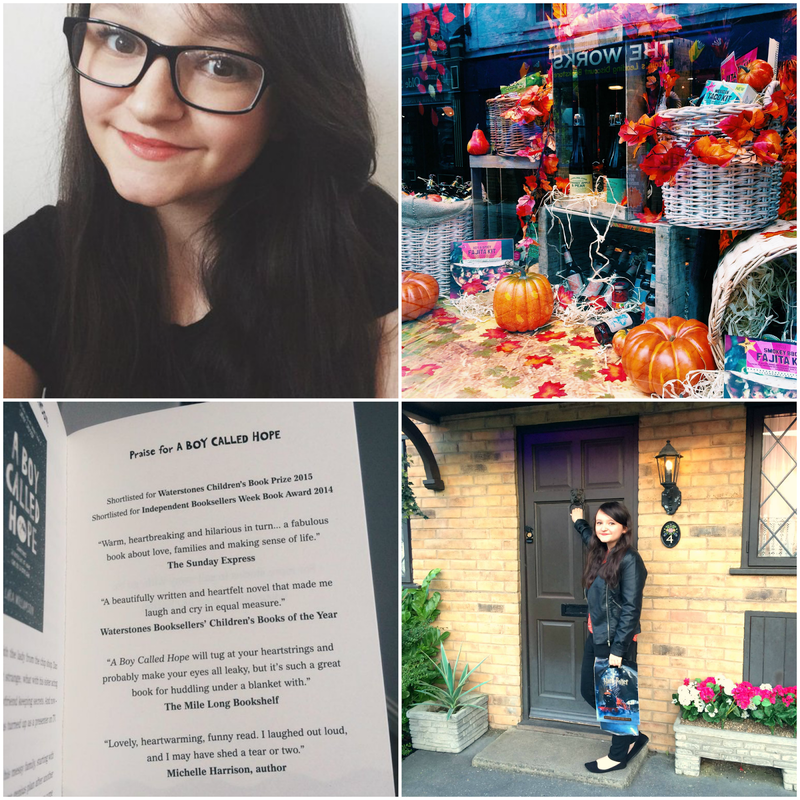 September: I started college studying English Literature and Media Studies. As I write this section, it's September 18th and at the moment I'm really, really enjoying them both. I don't know how I'll feel when this post goes up - I'll probably be inundated with essays and needing a break by then, but who knows? (Edit: I was right, I do need a break - and I'm on one! Still enjoying it though.) For now I much prefer it to when I did my IGCSEs. At the end of the month I was sent to the Harry Potter Studio Tour to blog and vlog their September Screenings event. It was so nice to go back there - you can see my post about that here, and my vlog of the day here. I was also quoted in Lara Williamson's new book! This is always a wonderful surprise and makes me so happy. October: Louise from Sprinkle of Glitter sent me a surprise thank you note for reviewing her book which was lovely. A couple of days after that I saw Hotel Transylvania 2 (before watching the first one, oops) and it was really good and perfectly Halloween-y. 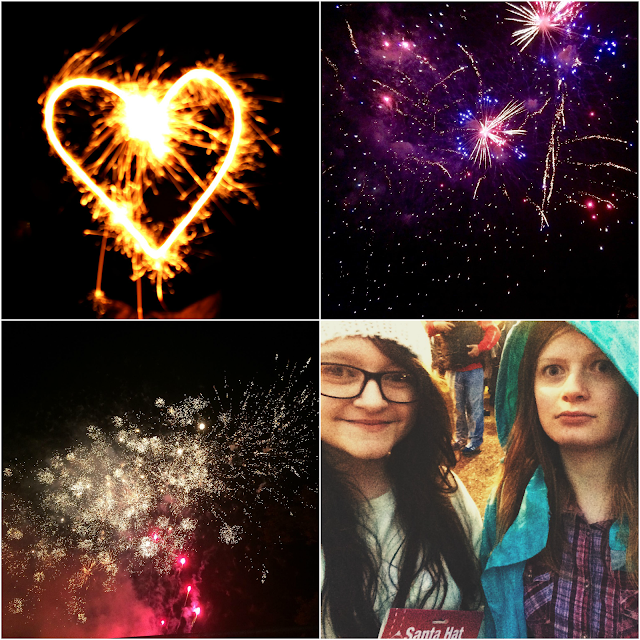 November: First up was Bonfire Night, one of my favourite nights of the year. This year was the first time I felt comfortable going in a while. I also had a play around with sparklers and my camera, and the photos definitely could've come out better but they're not too bad. I saw my aunt for the first time in a few years and I'm pretty sure one of her dogs didn't recognise me. Sad times. I took some really cute photos of them, though. Our town Christmas lights were switched on and they looked so pretty! Everything looks better with fairy lights. I actually dread the day they come down because it's so lovely having them there. Anyway, I went to the celebrations with Av and nearly froze to death. Seriously, my hand was permanently in the holdingaphone position. I couldn't move it. It was HORRIBLE. But yay, lights. On the 25th I won NaNoWriMo and finished writing my first ever novel. WHAAAAAAT. It's the longest thing I've ever written. I don't even care if it's bad (haven't read it through yet...) I'm just happy that I've written something that lengthy. I don't struggle with ideas, I struggle with making them last. I wanted to show myself that I could write something of a proper length, and I did! 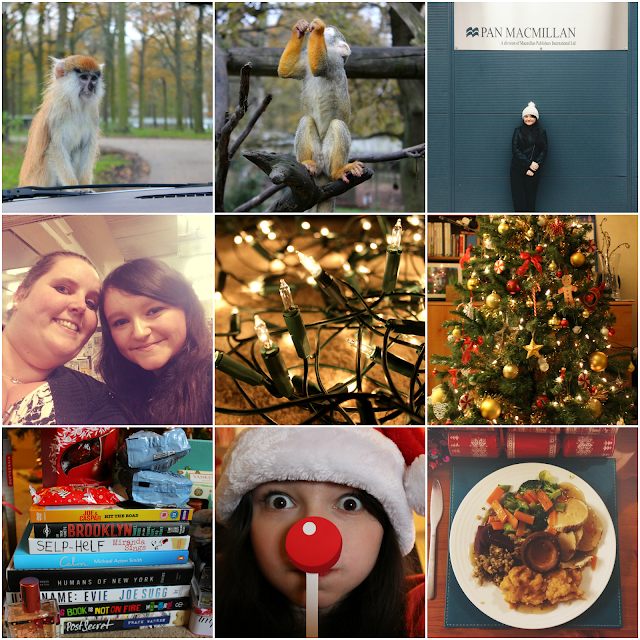 December: This might have been one of the busiest months of the year, unsurprisingly. On my step-dad's birthday we went to Woburn Safari Park, where some monkeys climbed on our car and ripped bits off, and where a lion roared so loudly I felt it in the ground. It was fun and only slightly terrifying. The next day, I did something that has been on my bucket list for a ridiculously long time. I've been book blogging for six years and so I've been invited to hundreds of blogger events, but I never went to any of them for a bunch of different reasons. That changed when I got an invite to the inaugural offline book club by My Kinda Book at their Pan Macmillan offices in London. It was easy to get to and I thought it was about time I tried it out, so I went. That morning was SO stressful, though. Have you ever been running late and needing to leave the house right that second to catch a train when the station is a mile away from your house, only to have a panic attack and have to re-do all of your makeup, get your things together, drive for a few minutes, find a parking space, pay for the parking space, print out your train ticket and get on the train all in the space of what was literally five minutes? No, probably not. But I did. It was HORRIBLE. Luckily, the rush took my mind off having another panic attack, so silver linings, I guess. The event was fun, I got to meet a couple of bloggers I've been talking to online for ages, and I loved seeing inside the Pan Macmillan offices aka where book dreams come true. When I got home, I opened the post and found out my review has been quoted in the hardback edition of Maresi. It's an incredible book! A day or two after that, we put the tree up. I also uploaded a video where I let some of you who might not have been able to afford presents for people to pick books from my shelves which I would then send for you to give as gifts. I wasn't sure if anyone would want/need it but all of the books went, so that was good. Chris Rankin (Percy Weasley in the Harry Potter films) gave a talk at college which was fun! It was interesting to hear about his experiences and the acting he's been doing since the films ended. Also, fun fact, he's my English teacher's son so my teacher is basically Mrs Weasley. It's been months since I found out and I'm still not over it. I need to sort myself out, honestly. I participated in a couple of Secret Santas and you can see what I got here. Oh, and I tried my first ever mince pie. I know. IT WAS INCREDIBLE AND I AM IN LOVE. Also, I watched Love, Actually and When Harry Met Sally for the first time because everyone else seems to have watched them except me. Equally as incredible. And finally, it was Christmas Day! I ate ALL THE THINGS. I'm writing this lil bit on the 29th and I still can't move because I am now the size of a whale. I blame those glorious mince pies and the pickled eggs and the chocolate biscuits and the other chocolates and the gingerbread house and the mini pizzas and the spring rolls and the ice cream and the cheesy bites and the Pringles and the dips and the posh cheese and crackers and the piles of mashed potato. T'was good. One of my favourite Christmasses. Since then? I've just spent two days straight doing Media Studies coursework while absentmindedly eating chocolates from various selection boxes. Oh dear. I hope you all had a wonderful 2015 and that you have an even better 2016, and I'll see you in the New Year!